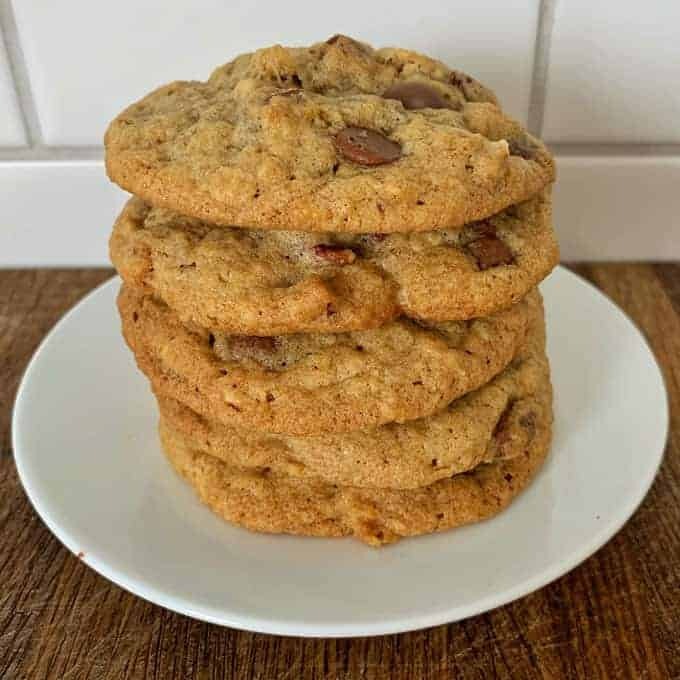 These pecan and chocolate chip cookies will be the best that you ever make with a crispy outside and chewy centre you can’t go wrong. 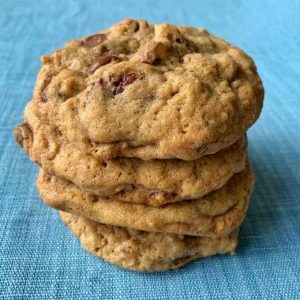 I was so happy with the way these delicious pecan and chocolate chip cookies turned out. They have a lovely cinnamon flavour and the pecan and chocolate chips go so well together. 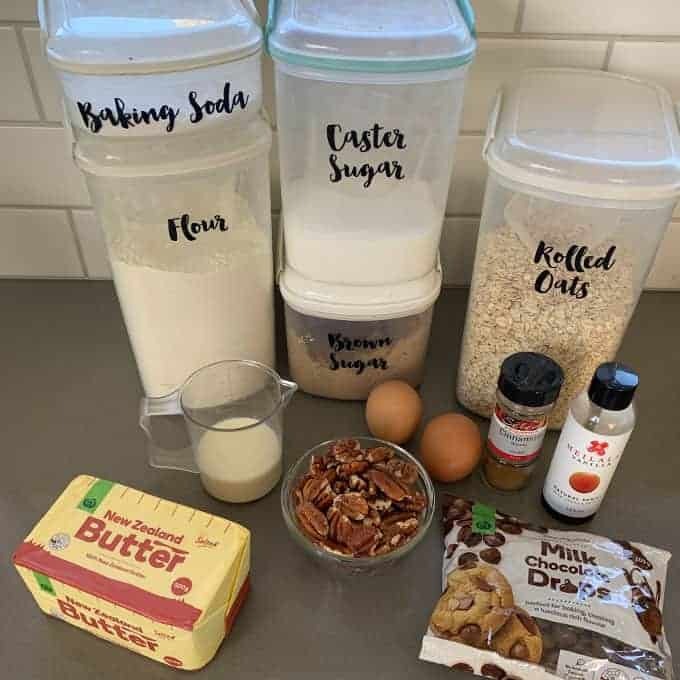 To make these delicious cookies start off by whipping the butter and sugars together until fluffy, then add in the eggs and mix again. Fold in the dry ingredients and mix it all together before adding whatever flavour you want to add to the cookies. In this case I decided to use delicious milk chocolate drops and tasty pecans. 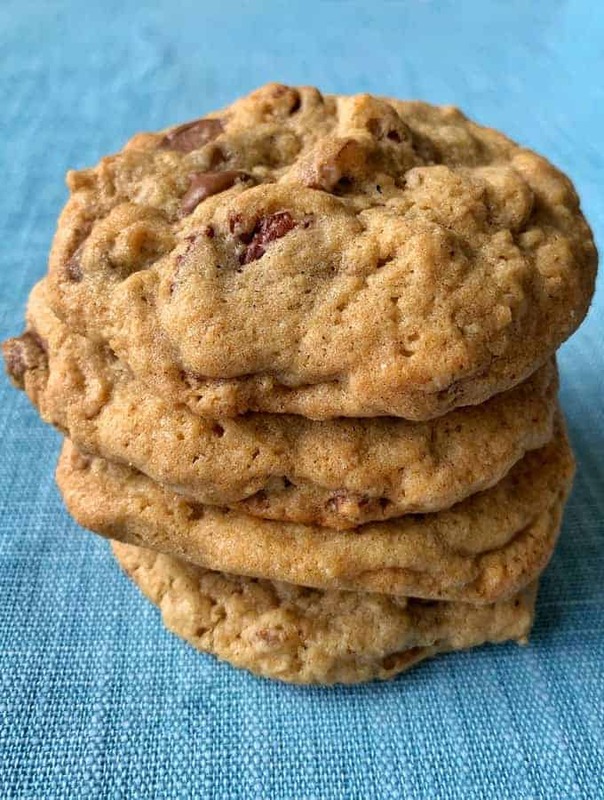 This recipe makes a large batch of around 30 cookies so you may want to freeze some for later. 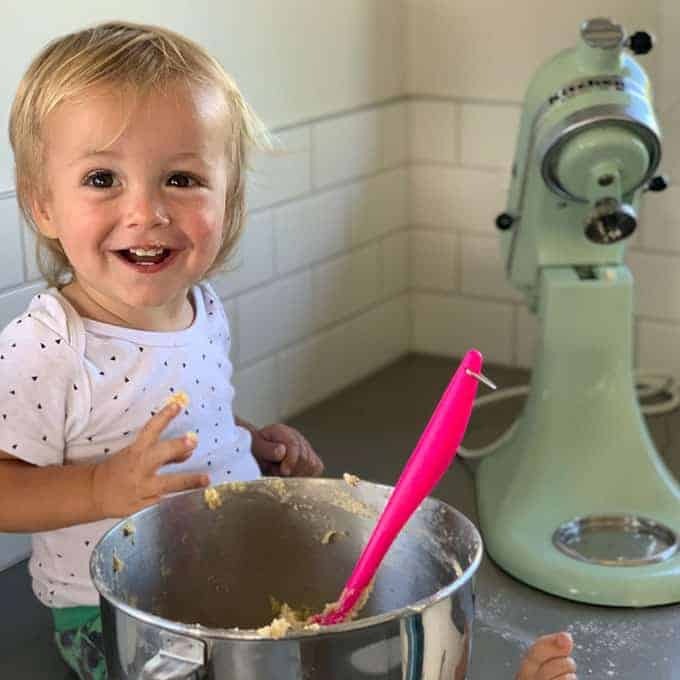 I made these cookies while I was babysitting my gorgeous nephew Joe, he is one and we had so much fun making them together. He kept trying to sneak the delicious cookie dough so I had to include this gorgeous photo of him. 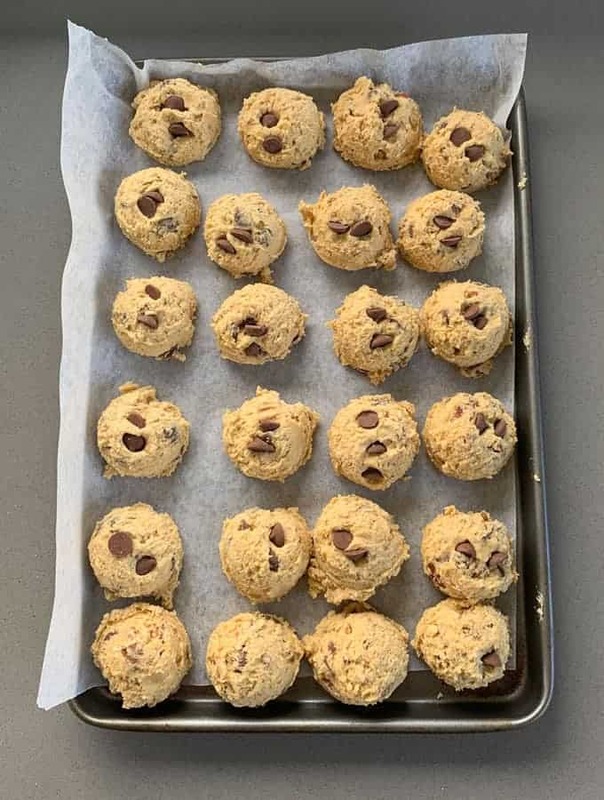 Once the batter is made, use a small ice cream scoop to scoop out even sized balls of cookie dough. Place them on a tray lined with baking paper and chill or freeze until ready to bake. 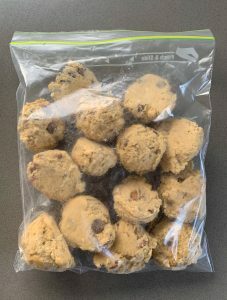 Once the cookie dough balls were frozen down I decided to freeze half later in a snap lock bag. If you want to cook from frozen take the dough balls out of the freezer and put them on a baking tray. Leave lots of space between each one because they will spread quite a lot while cooking, then let them thaw for five minutes before baking in a hot oven. 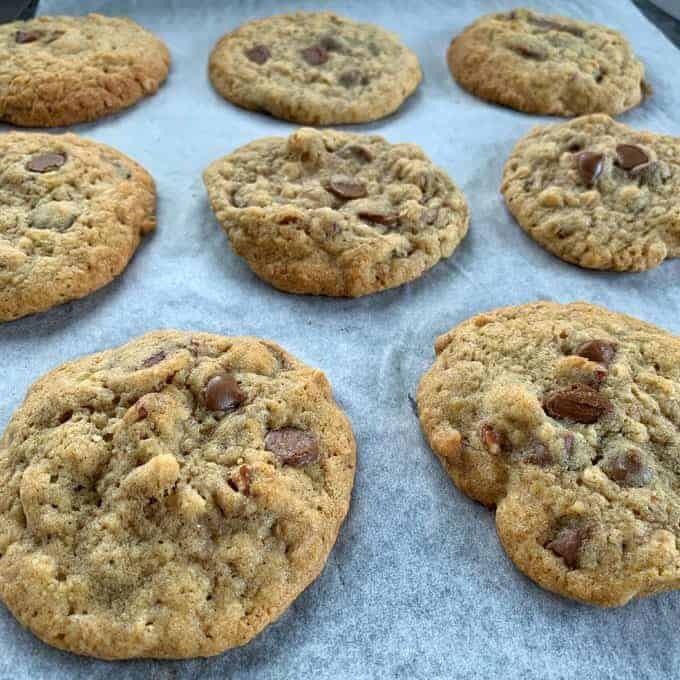 If you don’t chill your cookies enough they will spread quite flat like a subway cookie, which is still delicious but I prefer them to have about a centimetre of height in the centre. 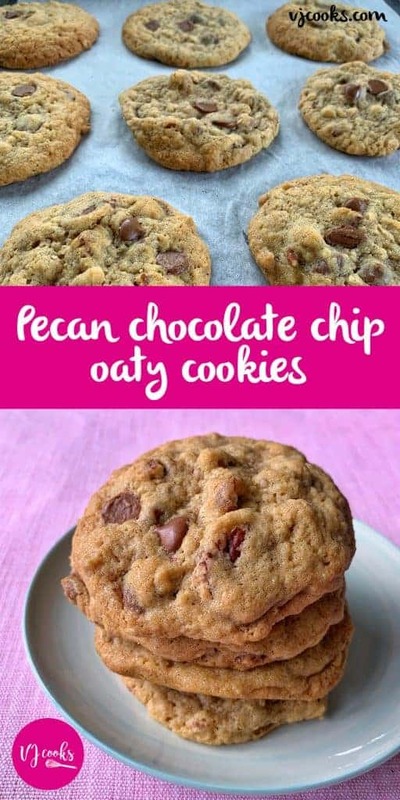 These chocolate chip and pecan cookies are so tasty and the rolled oats give them a lovely oaty taste. It’s so great having a packet of these in the freezer for whenever I want to do a bit of baking and satisfy my cookie craving. These cookies are super easy and you can freeze half the dough for baking later if you like. Preheat oven to 170.C fanbake. 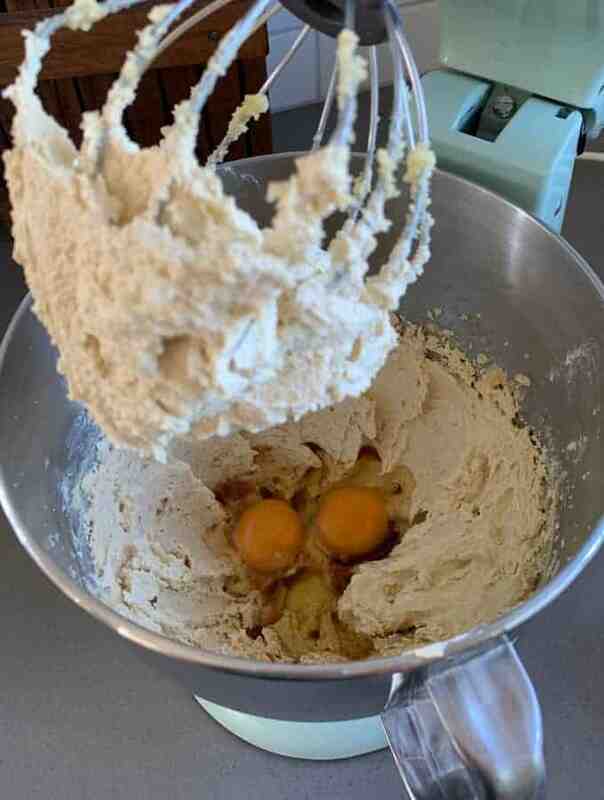 In a mixer beat butter and sugars until smooth, add eggs and vanilla, mix again until well combined. Sift in flour, cinnamon and baking soda. Add milk then fold together. Add chocolate drops, pecans and rolled oats then stir together. Roll into balls or use an ice cream scoop and chill dough for at least 20 mins. Remove from fridge or freezer and place on baking paper lined tray and bake for 15-20 mins until turning golden but still soft in the centre. If you want to freeze half of the mix for later you can put the rolled up balls in a zip lock bag once they are frozen. 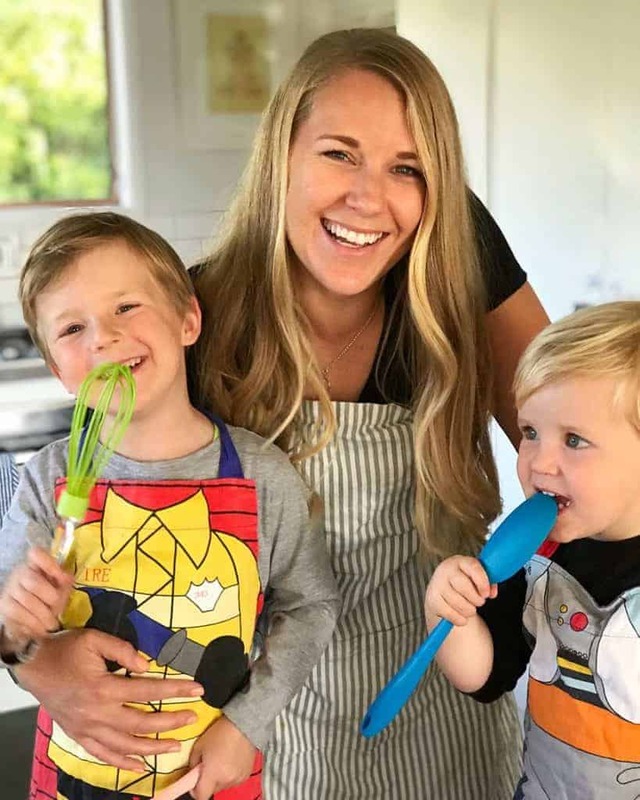 You can bake them straight from frozen. Maybe thaw for about 5 mins, all ovens are different. If you do not chill the dough for long enough before baking they will spread very quickly, more like a Subway cookie so give them lots of space on the tray.